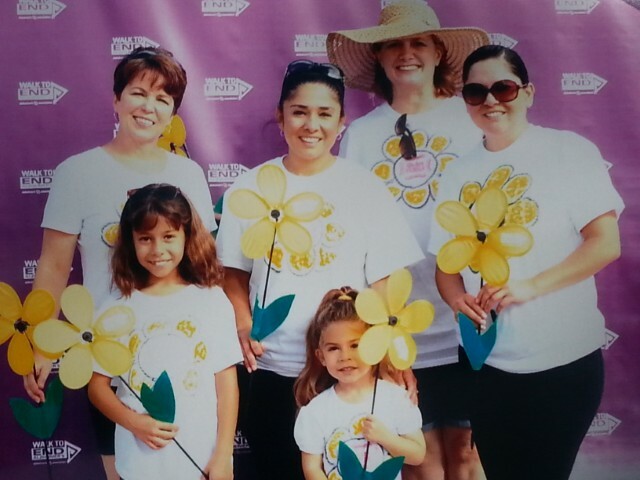 Staff at the San Antonio office supported Julia Jonas’ fundraising for her walk as part of the 2015 Alzheimer’s Walk in the San Antonio area. Participants were invited to place a windmill flower along the route representing someone who is living with, caring for or who has been lost to Alzheimer’s. There were 4500 walkers who raised $249,160.93. Julia expressed a “thank you” to her Terracon family for helping her surpass her personal fundraising goal of $1,000 by $675. That amount, combined with another $705 from family members, enabled her to donate at total of $2,380. The Alzheimer’s Association is the leading voluntary health organization in Alzheimer’s care, support and research. Its nationwide chapters host annual walks to raise money for the association.